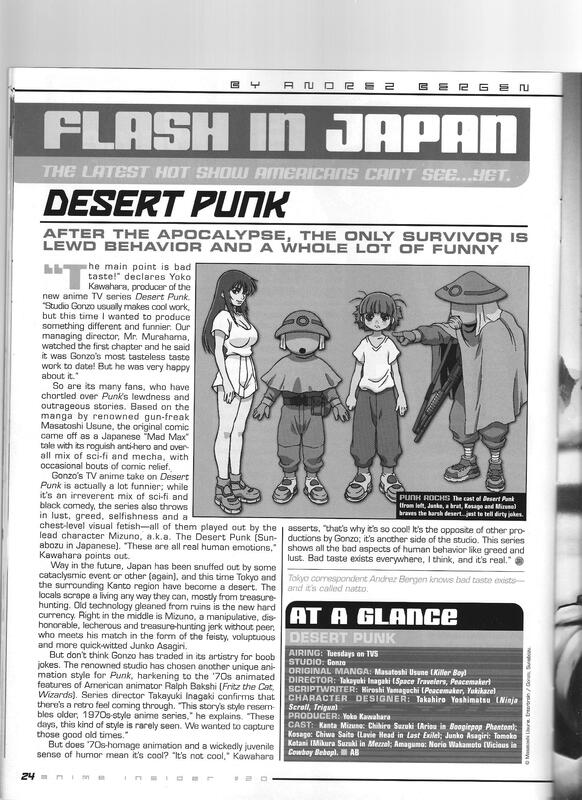 Series Director Takayuki Inagaki briefly talks about the 70s-style homage motivations behind Desert Punk. 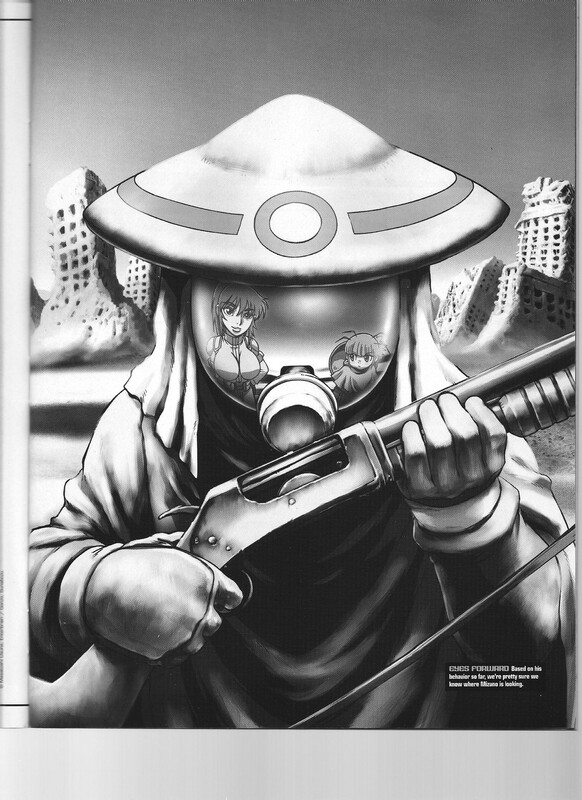 This entry was posted in Old Magazine Articles and tagged Anime, Borderline Plagarism for the Freedom of Information, Desert Punk, Takayuki Inagaki by torisunanohokori. Bookmark the permalink.